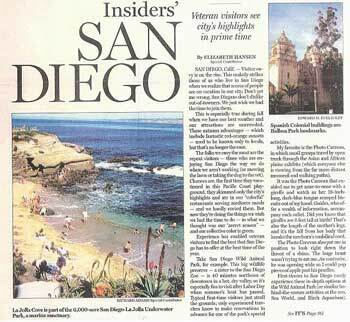 I headed west immediately after graduating from Indiana University and have lived in the San Diego area ever since. 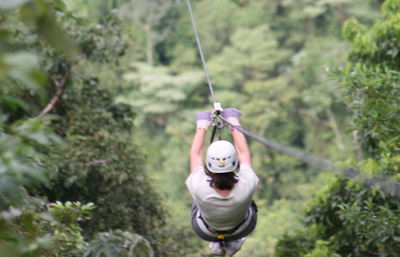 My first career was teaching, and I took full advantage of the school vacations to pursue my passion for travel. After several trips to Europe and a year teaching in Munich, I took another leave of absence and traveled solo around the Pacific. In the Hawaiian Islands, I learned to scuba dive and watched the sunrise on the Haleakala Crater. 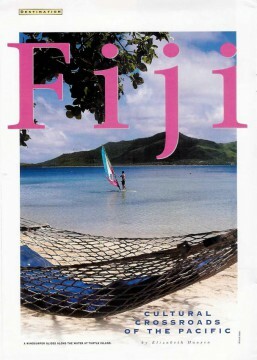 From there, I went to Samoa and then on to several islands in French Polynesia. I lived with a schoolteacher and his family on the island of Maupiti because there were no hotels or even B&Bs. The highlight of my stay in Fiji was hitching a ride on a copra boat that was going from island to island. I worked in New Zealand – first in a popular Auckland restaurant and later on a South Island farm. In Australia, I stayed with a family in the Sydney suburbs, then crossed the continent and learned to serve beer in a pub near Perth. From there, it was off to Bali, then Jakarta, Singapore, Kuala Lumpur, Penang, Bangkok, Chiang Mai, Hong Kong, and Japan. I was in no hurry and had plenty of time to hang out with the locals and soak up their culture. Throughout the year I relied on a variety of guidebooks and developed an appreciation for the craft of travel writing. I also found I looked forward to writing in my travel journal and re-reading previous entries. Back in San Diego, I enrolled in a non-fiction writing course at UCSD (University of California, San Diego), during which I wrote a story on Perth, Western Australia. This sold to San Diego Magazine. A short time later my piece on Bali appeared in the L.A. Times. Buoyed by this success, I quit my day job. 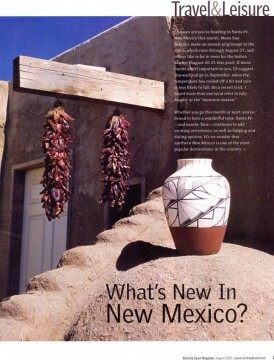 Over the years I’ve written lots of magazine features and stories for newspaper travel sections. 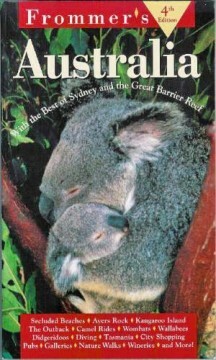 I’ve also authored and revised many books in the Frommer series, including guides to New Zealand, Australia, and San Diego. For ten years, I taught the travel writing course at UCSD that launched my career. 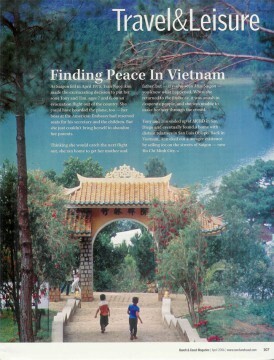 I’ve been the Travel Editor of Ranch & Coast, San Diego’s ultimate lifestyle magazine, since 2004. My monthly column in Ranch & Coast has won several awards in the San Diego Press Club’s Excellence in the Journalism competition. 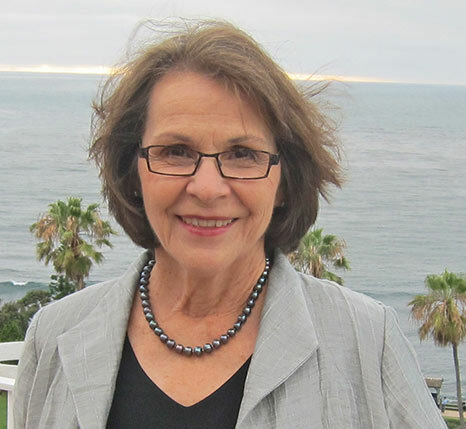 I am also the owner / editor of two travel blog sites: Authentic Luxury Travel and La Jolla Travel Information. Authentic Luxury Travel received a Lowell Thomas Travel Journalism Award, won Gold in the SATW Western Chapter writing competition, and won Best of Show honors in the San Diego Press Club’s Excellence in the Journalism competition. These days my writing life is divided between my two sites and Ranch & Coast – however, I still accept freelance assignments when they are especially tempting – like this 8-page San Diego story that appeared in a recent issue of GMC, the Magazine. I never tire of exploring exotic destinations – either solo or with my photographer husband Richard Adams - and sometimes with all three generations of our family. In addition to researching magazine features, Richard and I continue to capture images to add to the files of ADAMS / HANSEN STOCK PHOTOS. To see samples of some of these articles, please click here. Aorangi, Chevron USA, Corporate & Incentive Travel, The Costco Connection, Discovery (Cathay Pacific), Diversion, Elite, Expressions, GMC The Magazine, Golden State, Hemispheres (United Airlines), Insight, Interval World, Islands, Journeys, Mabuhay (Philippine Airlines), National Geographic Traveler, New Zealand Woman’s Weekly, Nihao (China Southern Airlines), Off Duty, Ocean Club Magazine, Pacific Way (Air New Zealand), Physicians Travel and Meeting Guide, Postcards, Ranch & Coast (monthly story/photo feature since 2004), San Diego Home/Garden, San Diego Magazine, Sports Car International, Travel & Leisure, Travel Life, Travel-Holiday, Trust For Public Land, United, Young Discoverer, Vacation Industry Review, and others. Alameda News Group, Arizona Daily Star, Boston Globe, Boston Herald, Calgary Herald, Chicago Sun Times, Chicago Tribune, Christchurch (NZ) Press, Christian Science Monitor, Copley News Service, Dallas Morning News, Denver Post, Fort Lauderdale News Sun – Sentinel, Los Angeles Times, Miami Herald, Minneapolis Tribune, Newsday, New York Daily News, New Zealand Herald, The Oregonian, Providence Journal, Rocky Mountain News, Salt Lake Tribune, San Antonio Express-News, San Diego Union-Tribune, San Francisco Chronicle, San Jose Mercury News, Senior World, Spokane Spokesman Review, Toronto Globe & Mail, Toronto Star, Vancouver Province, Vancouver Sun, Winnipeg Sun, and others. To see samples of photos, please click here. 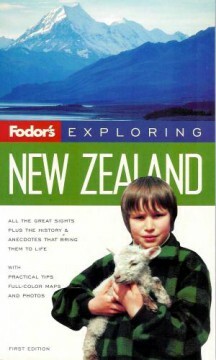 Fodor’s Exploring New Zealand, Frommer’s Australia, Frommer’s Australia From $50 A Day, Frommer’s New Zealand From $50 A Day, Salem Press social studies text, Weigl Educational Publishers social studies text (all covers); The Story of Porsches (Gareth Stevens), The Story of Volkswagen (Gareth Stevens), Harcourt Brace textbook, National Geographic School Publishing textbook, Pearson Education textbook, Sheep – Animals That Live on the Farm (Gareth Stevens), McGraw Hill textbook, Harcourt School Publishers textbook, Crabtree Publishing text (inside); San Diego North Visitors’ Guide (cover and inside). Adam Magazine, Alaska Airlines Magazine, Aorangi, Condé Nast Traveler, Costco Connection, Expressions, GEO France, Golden State, Golf Inc. (cover), Hemispheres, Insight, Interval World (several covers), Islands, Journeys, Mabuhay, National Geographic Traveler, Ocean Club Magazine, Pacific Way, Postcards, Ranch & Coast (monthly story/photo feature since 2004), Sailing, Sports Car International, Travel-Holiday, Travel Life, Vacation Industry Review, Visuell Magazine, and others. Alameda News Group, Arizona Daily Star, Boston Herald, Copley News Service, Dallas Morning News, Denver Post, Fort Lauderdale News Sun-Sentinel, Los Angeles Times, Miami Herald, Newark Star Ledger, Newsday, Orange County Register, The Oregonian, Providence Journal, Rocky Mountain News, Sacramento Bee, Salt Lake Tribune, San Antonio Express-News, San Diego Union-Tribune, San Francisco Chronicle, San Jose Mercury News, Senior World, Spokane Spokesman Review, Toronto Globe & Mail, Toronto Star, Winnipeg Sun, and others.